When planning a trip to Taipei, nothing deserves your attention more than the weather. Sure, Taipei doesn’t have gigantic four-season temperature swings like European or North American cities. But that doesn’t mean you should book your trip to Taiwan‘s capital willy-nilly. Extreme Taipei weather can turn an otherwise well-intentioned travel plan sour. Let’s not let that happen. 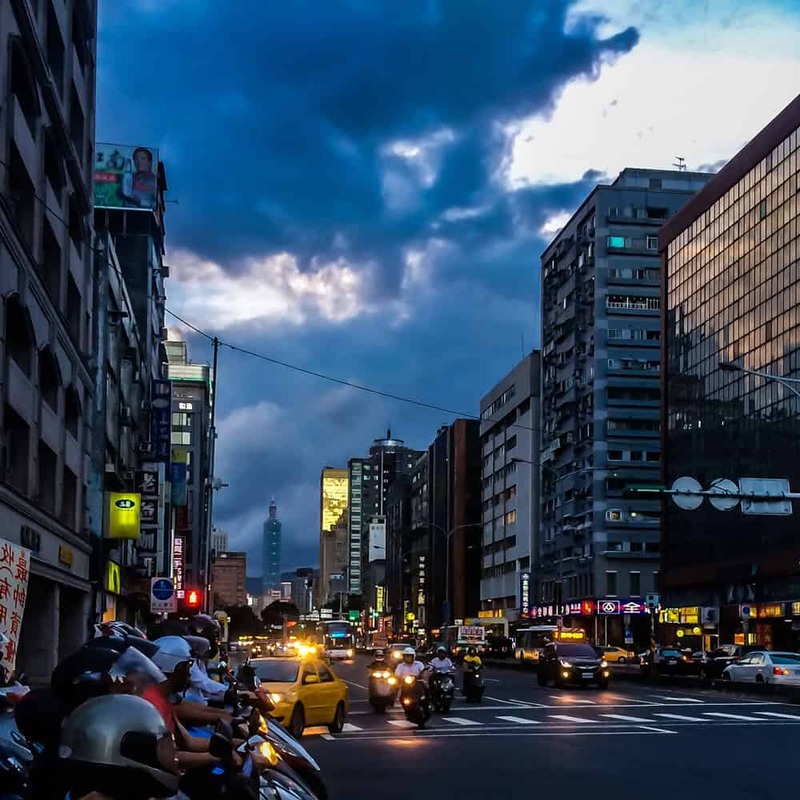 Here, I’ve outlined all the information you’ll need to pick the best time to visit Taipei. It might spell the difference between seeing Taipei through rain pounding your hotel room window or roaming the streets with a giant smile and a delicious deep-fried squid stick in hand. 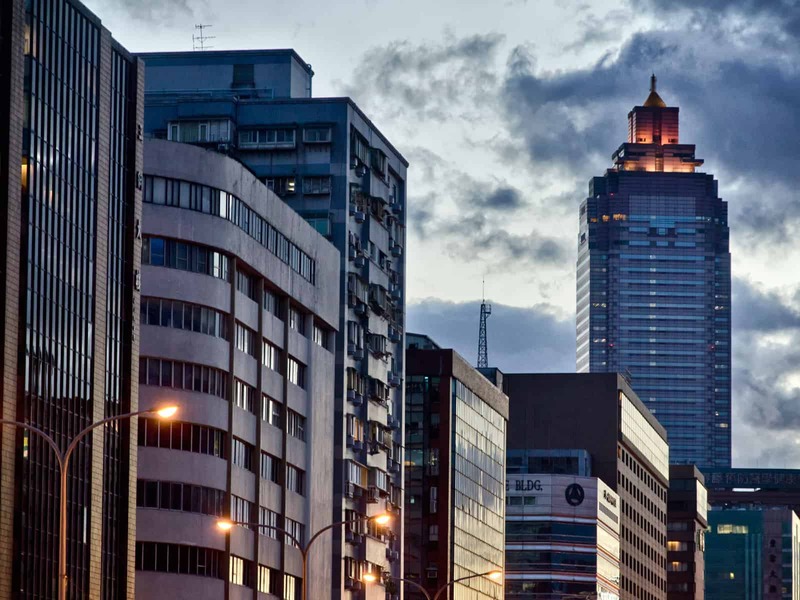 The verdict: When is the best time to visit Taipei? 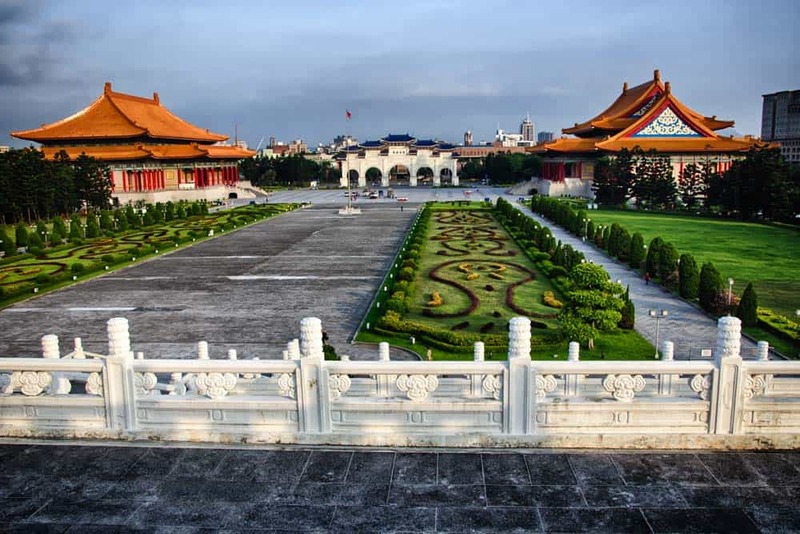 Why visit Taipei in November? Searching out the best time to visit Taipei isn’t so different than finding the best time to visit Taiwan in general. Taipei is located in Taiwan’s sub-tropical zone, creating more variation in average temperatures than in tropical Southern Taiwan. Even so, extreme temperatures in Taipei, much like nearby Hong Kong or Macau, only push towards one direction: hot. Cold is rarely a concern here. Most of the year falls between pleasantly mild and unpleasantly hot & sticky. Then again, the temperature isn’t the problem in Taipei. Ready to travel to Taipei? Don’t forget to protect yourself with travel insurance! When is spring in Taipei: March until May. What to expect in spring in Taipei: Warm average temperatures between 18ºC (64ºF) and 24ºC (75ºF). Average lows hover between 15ºC (59ºF) and 21ºC (70ºF) while average highs are between 20ºC (68ºF) and 26ºC (79ºF). Coming out of winter, rainfall picks up as spring trots along. By the end of May, wet season is officially upon you. What to wear in Taipei in spring: Towards the beginning of spring, a light jacket or light sweater should be enough to keep you comfortable. Wearing layers is a good idea as is having a good travel umbrella and a lightweight rain jacket handy. The Columbia Men’s Watertight II Rain Jacket is perfect for spring in Taiwan (and for taking up barely any room in your bag). The Columbia Women’s Arcadia II is equally value-laden. Visiting Taipei on a time crunch? Maximize your time with this two-day Taipei itinerary and this guide to the best places to stay in Taipei! When is summer in Taipei: June until August. What to expect in summer in Taipei: During summer Taipei gets extremely hot and humid. Average temperatures are between 27ºC (81ºF) to 30ºC (86ºF), the hottest month being July. Average summertime lows move between 24ºC (75ºF) and 26ºC (79ºF) while highs peak between 30ºC (86ºF) and 33ºC (91ºF). Getting drenched is a real possibility as 160-230mm rainfall. Even with the humidity, June to August is one of Taipei’s high seasons. Finding a good place to stay in Taipei can be a challenge without advance bookings. What to wear in Taipei in summer: Definitely add an umbrella and waterproof clothing to your Taiwan packing list including a lightweight waterproof jacket that breathes. You’ll probably be most comfortable walking around the city in shorts and a T-shirt because of the extreme heat. What to expect in autumn in Taipei: In autumn, you’ll finally begin to get respite from the heat and humidity of Taipei. Average temperatures fall between 21ºC (70ºF) and 27ºC (81ºF). The average lows hover between 19ºC (66ºF) and 23ºC (75ºF) and the average highs between 23ºC (73ºF) to 30ºC (86ºF). Other than in September, the rainiest month in Taipei, expect to much less rain during autumn in Taipei. Autumn is firmly outside of Taipei’s high tourist season. Finding accommodations in Taipei is usually easier in fall than at other times of the year. What to wear in Taipei in autumn: With warm temperatures, light clothing still works best in autumn. You may need a light sweater or coat. As always in Taiwan, carry a small umbrella and a light waterproof jacket, just in case. A break from the humidity means that autumn is a great time to hit up the hiking trails in and around Taipei. Bring along a sturdy pair of hiking shoes. Gearing up for autumn hiking around Taipei? Check out our recommendations for the top hiking shoes for men and top hiking shoes for women! What to expect in winter in Taipei: Winter is the driest, but coolest season in Taipei. Averages temperatures dip to 16ºC (61ºF) and 18ºC (64ºF) with average lows of 14ºC (57ºF) to 15ºC (59ºF) and average highs of only 18ºC (64ºF) to 20ºC (68ºF). December is the driest month in Taipei with only 60mm of rain. Chinese New Year falls between late January and early February. Make sure to plan your Taipei accommodations well ahead of time if you plan to travel during this time. What to wear in Taipei in winter: The cooler temperatures mean you should pack some warmer clothing in your travel rucksack including a nice all-season coat. Daytime will still be relatively mild, but the evenings will get chillier. Dressing in layers is recommended. Overview of Weather in Taipei in January: Coldest month in Taipei, but also one of the driest. Mild enough for comfortable travel. Chinese New Year sometimes falls at the end of the month, making it a busy time to travel in and around Taipei. Want to scoot around Taipei without hassle? Pick up a Taipei Unlimited Fun Pass! Includes unlimited use of the Taipei MRT, buses, and tourist shuttle routes and FREE admission to 12 Taipei attractions. Overview of Weather in Taipei in February: The second coldest month in Taipei. Expect more rainfall than January. 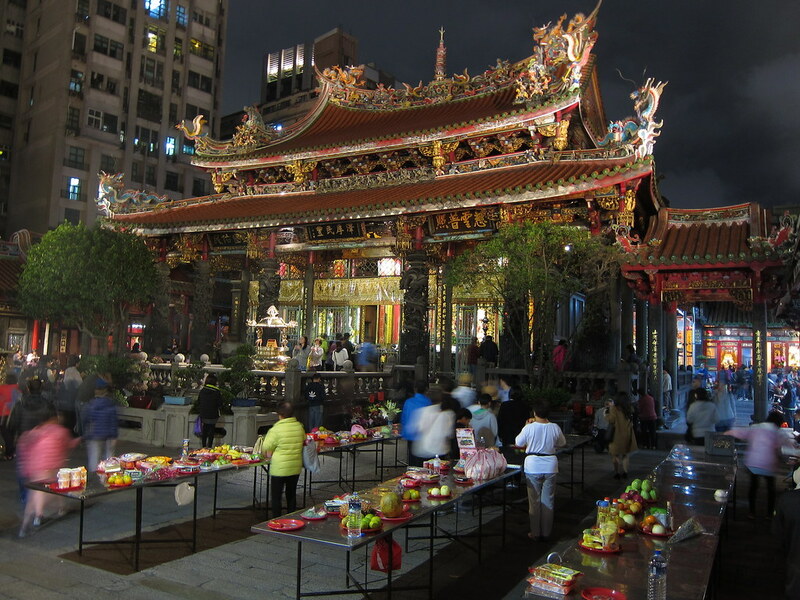 Chinese New Year often falls in early festival along with the Lantern Festival. It’s a festive time to visit Taipei, but busy. Book your accommodations early enough to avoid elevated prices and a lack of availability. Overview of Weather in Taipei in March: First month of spring in Taipei. March is warmer and wetter than February. Temperature-wise, March is still mild. Wearing layers and carrying waterproof clothing & an umbrella is recommended. 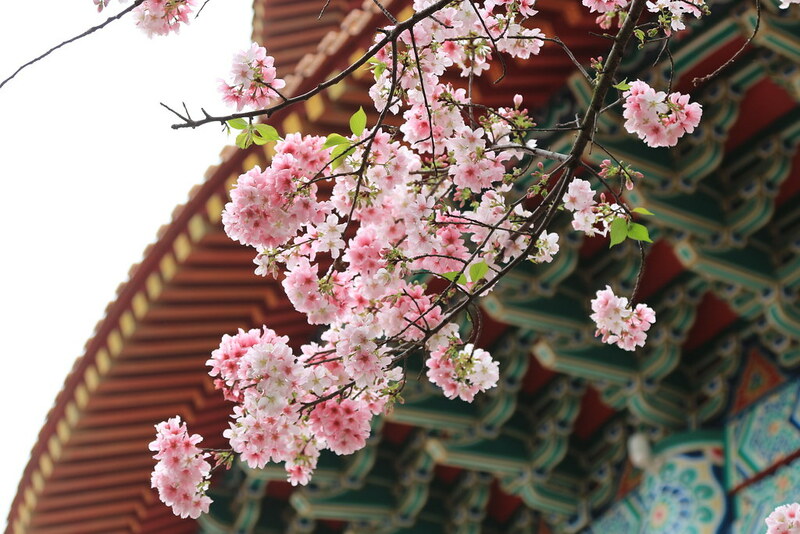 Visiting Taipei in March has the added bonus of taking advantage of the tail-end of cherry blossom season. Overview of Weather in Taipei in April: A pleasant month in Taipei. Both the temperatures and rainfall increase moving deeper into spring. With lower average rainfall and lower than average accommodation prices in Taipei, travelling in April is a good choice. Overview of Weather in Taipei in May: Rainfall continues to be heavy into May and temperatures are continuing to climb. If travelling to Taipei in May, waterproof clothing and a strong travel umbrella are a must! 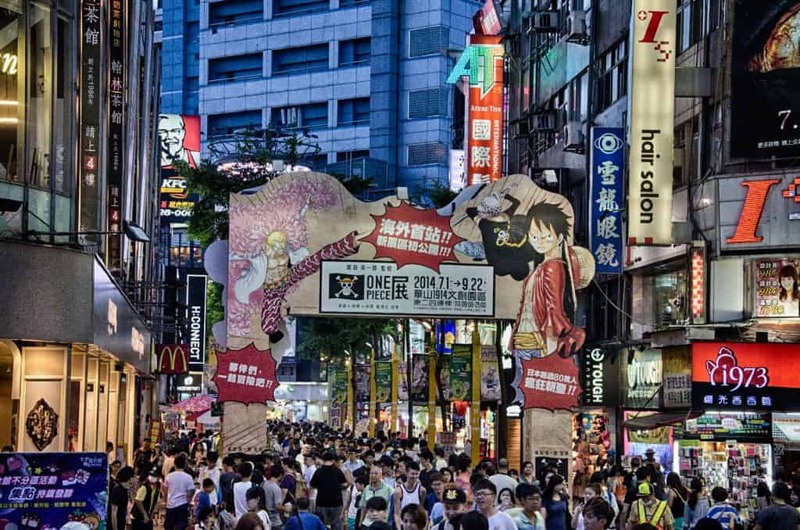 Interested in Taipei’s night markets? 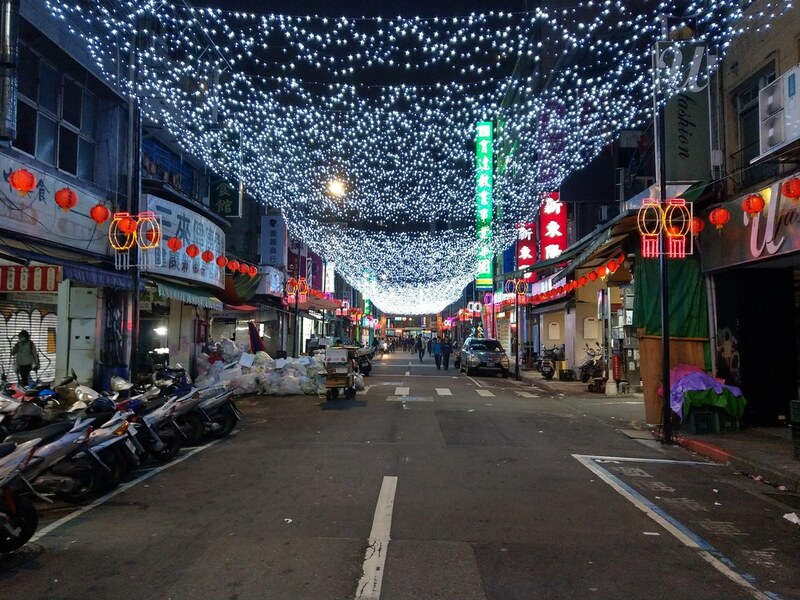 Discover a little-known night market and try 12 authentic Taiwanese delicacies on a Taipei Secret Night Market Tour! Overview of Weather in Taipei in June: First in a series of uncomfortable travel months in Taipei. Expect rain, and lots of it. Daytime temperatures climb into the 30s regularly. You’ll appreciate Taipei’s indoor shopping and underground passageways as you fight through the heat and humidity! Overview of Weather in Taipei in July: In July, both the heat and summer rainfall ramp up. July in Taipei gets extremely hot and humid with frequent thunderstorms. Typhoons are a real possibility. Stay hydrated (and minimalist!) by keeping a collapsible water bottle in your travel daypack. Want to get pampered and fill your belly with xiaolongbao while in Taipei? Get a 50-minute Chinese foot massage followed by a mouth-watering soup dumpling dinner on a Din Tai Fung & Luxury Massage Tour! Overview of Weather in Taipei in August: Second wettest month in Taipei. Like July, August in Taipei is extremely hot and humid. Anticipate frequent afternoon rainstorms and possible typhoons. Overview of Weather in Taipei in September: Wettest month in Taipei. Temperatures drop off slightly from August, but September is still often uncomfortable for travellers not used to extreme heat and humidity. Want to see the Taipei skyline at its best? Watch Taipei light up from above on a guided evening hike up Elephant Mountain with the Private Night Tour of Taipei! Also includes an evening visit to Bao’an Temple and meal & bubble tea on Yongkang Street. Overview of Weather in Taipei in October: Rainfall plummets significantly from September. October temperatures are easier to tolerate. Taipei in October is still hot, but no longer unbearable. Overview of Weather in Taipei in November: Very pleasant month to travel in Taipei and one of the best times of the year to dig into all the best things to do in Taipei. Temperatures are far more moderate as is the rainfall. It’s one of the driest months, although “dry” in Taiwan is always relative! With the moderately cooler evenings, November is a great time to explore Taipei night markets comfortably. Want to see all of Taipei with ease? Pick up a ticket for the Hop-On Hop-Off Taipei Bus Tour! 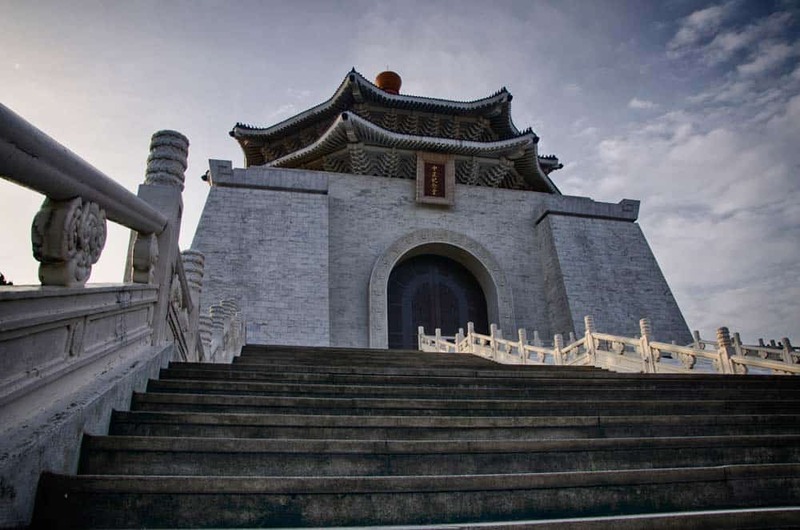 Includes stops at all the top Taipei attractions scattered all across the city. Overview of Weather in Taipei in December: Cooler than November, but temperatures are still very mild and pleasant. Wearing layers helps you to stay comfortable all day long. The best month to visit Taipei is November. The decision to visit Taipei in November is an easy one. November is one of the driest months in Taiwan’s capital. The temperatures are still warm, although hardly unbearable as the heat and the humidity of a Taiwanese summer can often prove. It’s also a colourful time of year as the fall colours are out in full swing. If visiting Taipei in November isn’t possible, October and April are the next best alternatives. October is still warm and late October sees a drop off in rainfall. April are October are similar in regards to temperature, although April can be slightly cooler and rainier.